I am a huge Star Wars fan, collecting the toys for 26+ years, going to two iterations of “Star Wars Celebration,” and now writing about it in my free time. But through this time, I have also come to terms with flaws that have always been in the original films. 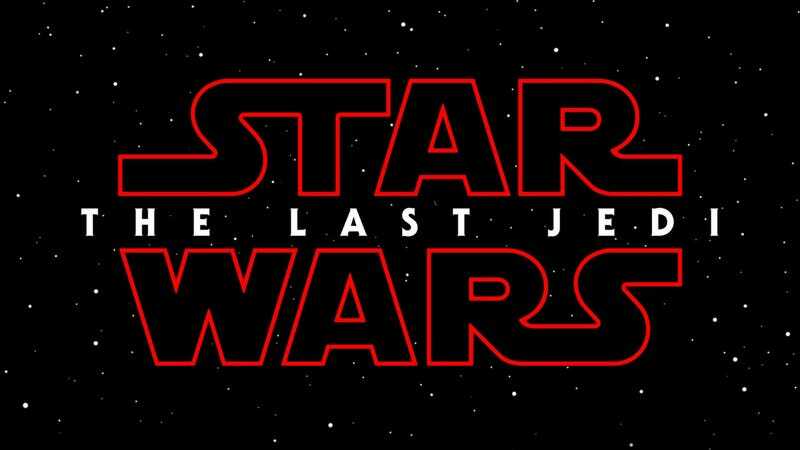 To my delight, The Last Jedi (TLJ) pointed to a future where Star Wars finally addresses its issues and evolves into something greater than it was before. Unfortunately, there is a very vocal portion of the fanbase that is lashing out against this change, choosing to embrace aspects of the original trilogy that have not held up. So in honor of TLJ’s upcoming home video release, I took a closer look at the outraged fans’ primary grievances against the new film, trace their roots to the original Star Wars films, and then highlight the ways TLJ distanced itself from issues that have long plagued Star Wars. Ultimately, I hope to demonstrate how the negative fan reactions miss what I find to be the very thing that will allow Star Wars to continue growing in the future. Be advised: occasional spoilers lie ahead. I wish I could say these issues came out of left field, but each of them can be traced back to faults in the original trilogy. Let’s take a look at how each of these issues was handled in the original trilogy compared to TLJ. In the original trilogy, the agency of female characters, Princess Leia in particular, is generally superseded by the leading males. Sure, Leia was strong, but she was often portrayed as an object. In A New Hope (ANH), she started as a damsel in distress but with more attitude. She does shoot a few Stormtroopers here and there, but otherwise was either stuck in a jail cell or sitting idly by while the males performed the most notable acts of valor. Consider the scene where the Falcon, after escaping the Death Star, is pursued by TIE Fighters. Instead of doing much of anything, she sits in the cockpit while Han and Luke shoot down the ships. Then during the trench run she hangs out in the Rebel base, providing no more help than the bumbling C-3PO. Then at the end, she just hands out medals. Her role in Empire Strikes Back (ESB) is not much stronger. She frequently fights with Han, is subject to his unwanted advances and touching, and is later objectified in her first interactions with Lando (Remember “What have we here.”). Because she ultimately declares her love for Han, everything else is brushed to the side, and she completes her transition to role of love interest with an attitude. “Metal bikini” is all I need to say about her treatment in Return of the Jedi (ROTJ). And beyond Leia, there are no female characters of import. They are merely incidental participants in the struggle as opposed to agents that drive the narrative. TLJ, on the other hand, greatly increased the agency of its female characters. This started with Rey in The Force Awakens (TFA), her actions continually subverting audience expectations of a Star Wars film. She was the brave one who explicitly tells Finn that she doesn’t need hand holding very early on. This continues into TLJ and expands with two new characters: Admiral Holdo and Rose. When Leia is in a coma, Poe behaves like he is entitled to be a part of every major decision, similar to how Luke was treated in the original trilogy. Yet Holdo is actually the one in charge, responsible for the survival of the Resistance. When Poe undermines her authority, he is consistently proved wrong. He is not the hero who alone can save the day, just a pilot with an overinflated ego bound to selfishly screw things up. And in the end, it is Holdo who heroically sacrifices herself to save the Resistance when Poe’s plan puts their lives into jeopardy. Rose also undermines the idea that a lone hero can save the day. When Finn attempts a suicide run at the First Order cannon, she puts her own life on the line to save him. Here, she very plainly states that it is compassion and empathy that will lead to victory, not machismo or violence. Compare these new characters to Mon Mothma, the most prominent supporting female character in the original trilogy. The women of Star Wars have come a long way from mere observers of male-dominated action, only there to interject some obligatory empathy. That brings us to another issue with the original trilogy: its simplistic depiction of war and politics more generally. The Rebels are the good guys, and the Empire the bad guys. In each film, we see how brutal the Empire is whether it’s the obliteration of an entire planet, political backstabbing to seize control of independent territories, or the brutalization of indigenous tribes like the Ewoks. By contrast, the Rebels are always just. They fight for the freedom of the galaxy, always act out in self defense, and never hurt anyone besides the Empire or other proven bad guys (like Jabba). We also don’t see how the Rebels can fund their struggle, giving the impression that it is a grassroots organization. Ultimately, the result of this approach to war is a film with rudimentary morals that don’t ask the audience to dig a little deeper for meaning. In TLJ, issues of war and oppression are more directly addressed. On Canto Bight, Rose offers frequent commentary on the systemic oppression only hinted at in other Star Wars films. The wealthy sell weapons of destruction to both sides of the conflict. In turn, they spend their money on the enslavement of both animals and the people who care for them. This allows us to dispense with the novel idea that the “good guys” are blameless in conflict. Rather everyone is complicit in a war that has claimed countless lives on both sides. Yoda helps Luke to come to a similar conclusion about the Jedi Order. In the waning days of the Republic, the Order was not blameless in the conflict that consumed it. Rather there were ways they ultimately facilitated their own destruction and the rise of Vader through exclusionary practices (i.e. abstaining from love and only accepting children as students instead of embracing choice and people from a multitude of backgrounds). In addition to the outdated gender dynamics and simplistic portrayal of conflict, the original trilogy gave people of color very little to do. In ANH, there isn’t a single notable character played by a non-white actor. Even Darth Vader, voiced by the inimitable James Earl Jones, is eventually revealed to be a white guy under the mask. While ESB introduces Lando, I believe aspects of his character play into late 70’s/early 80’s racial stereotypes. More specifically, he is a former gangster who stabs Han, his friend, in the back and occasionally lusts after Princess Leia from the time they first meet. Any of these character traits alone wouldn’t raise a red flag, but the sum of them does when they are found in the only black character of note. Lando does seem to redeem himself in ROTJ, becoming a hero of the Rebellion in the battle of Endor. However, his character is not developed beyond that of a guy who somewhat helps escape Jabba and happens to fly the Millennium Falcon. Throughout the original trilogy, other people of color pop up but only incidentally, much like the female characters in those films. Along with its treatment of female characters, TLJ features increased prominence of characters played by non-white performers. Rose is a powerful addition to the ensemble, only the third major character played by an actor of Asian heritage. DJ, played by Benicio Del Toro, is a delightful scoundrel who plays both sides of the conflict better than anyone in the original trilogy. And then we have the return of Finn and Poe, both played by non-white actors born outside the U.S. More important than their mere inclusion is the extent to which these characters drive the story. Each of them helps to illustrate a key theme in TLJ, whether its the importance of love to win a war, the ways that both sides of a conflict are guilty of something, or how being a hero doesn’t always mean rushing head first into battle. The combined effect of greater visibility of characters played by non-white actors and the critical roles these individuals play in the narrative makes TLJ stand apart from previous Star Wars films. Luke starts as a whiny farm boy and doesn’t seem to take his responsibilities seriously. He loses the one thing he is responsible for and, after finding R2 and being saved by Obi-Wan, goes back to his hut to hang out for a while. During this hang out, Stormtroopers murder the only family he’s ever known while looking for him. This inspires him to join the fight against the Empire like he always wanted. They are never mentioned again, even though he explicitly says he misses Ben when back on the Falcon just moments after he becomes one with the force. Luke doesn’t actually have to work towards being an X-Wing pilot; he’s given the position on the spot with no formal training. Then when he’s attacking the Death Star, he decides to use the force in what is literally the last chance to save the entire rebellion instead of using the targeting computer. Up to that point, he had purposefully used the force just one time to block a few low-intensity blaster shots. He gets a medal for his bravery. When Luke finally begins formal training to become a Jedi, he decides to follow his gut instead. He lands straight into a trap, losing a hand in the process. However, he does gain a new robot hand that works perfectly well, and it is never treated as though it’s a meaningful loss. He directly follows up that move by sending his friends into a trap at Jabba’s Palace, confident in his Jedi skills he plans to use to free them. His plan goes perfectly, and he kills a number of people in the process. He also Force choked some Gamorrean Guards, which is not the type of thing we should expect from “honorable” people. After reuniting with Leia at the Ewok village, he goes off to fight Vader and the Emperor on his own. Even though his friends are worried, again he believes that only he can save Vader and defeat the Emperor. He accomplishes both of these goals. Overall this arc reeks of entitlement. Luke frequently succeeds using his innate powers, doesn’t bother adhering to any of his training, and constantly kills lots of people. And at every step of the way, he is rewarded for these actions. This leads to a sense of inevitability about everything he does. Furthermore, most of this potentially meaningful loses are immediately reversed (i.e. Force ghosts of lost mentors and replacement hand), undermining any notion of true adversity. For me, it doesn’t feel like Luke ever truly earned his role as flawless savior of the galaxy. Instead, it’s treated like his natural born right. Inversely, TLJ presents a Luke Skywalker that has finally suffered from a devastating failure. In the time since the victory party on Endor, he founded a new Jedi Order and, fearing what might become of one pupil, directly brought about its sudden, violent end. In that moment, his tendency towards violence and unilaterally deciding what was right backfired spectacularly, and he lost almost everything. This understandably shook the foundations of Luke’s worldview to their core. He was faced with the possibility that he was no chosen hero but a normal, flawed person with too much power. Rather than fully coming to terms with this, he shut himself off from the Force and went into seclusion. Thus TLJ is in large part a story of consequences and embracing failure as a means of growth. Whether it is Poe learning the true responsibilities of leadership, Rey embracing the truth of her humble origins, and Luke becoming accountable for his mistakes, the main characters in the film become something greater than they were before by accepting and moving past their mistakes. This is a much more dynamic atmosphere where characters do not embody unrealistic notions of success but take the form of normal people like us who have been thrust into a galaxy-wide conflict. In TLJ, Yoda gets a line that I believe perfectly encapsulates the promise and reward of Star Wars: “We are what they grow beyond.” While this is true of Jedi Masters and their apprentices, it is equally true of any creative work and Star Wars itself. Because Star Wars is not solely defined by three films made decades ago, rather it is the sum of those films plus everything that was born of them. TLJ, like best Star Wars stories we’ve been treated to in games, books, and other media, attempts to grow beyond the original films rather than being slave to them. Star Wars was always about hope. Watching the original films with a modern lens, however, might give the impression that hope was almost exclusively depicted for white males. And I truly don’t believe that was intended, rather it was a result of the film industry at the time those films were made. But we’ve left that time behind. And if TLJ or any of Disney’s other upcoming Star Wars films were slaves to the gender dynamics, thematic simplicity, (lack of) diversity, or characterizations of the original films, then the new movies would almost certainly be bad. All of the people who don’t disagree with the curmudgeonly fans would be losing out on something truly special, and the full extent of the promise in the Star Wars saga would never manifest. Fortunately Disney has made it clear that it doesn’t see an issue with the direction Rian Johnson has pushed the series, and I couldn’t be happier. We need to see more strong women characters and exploration of complex themes, more diverse casting and a continued willingness to learn from past mistakes. If they are able to achieve that, then Star Wars will grow far beyond its origins as a kids movie, and the fans who embrace this will reap the rewards for years to come.